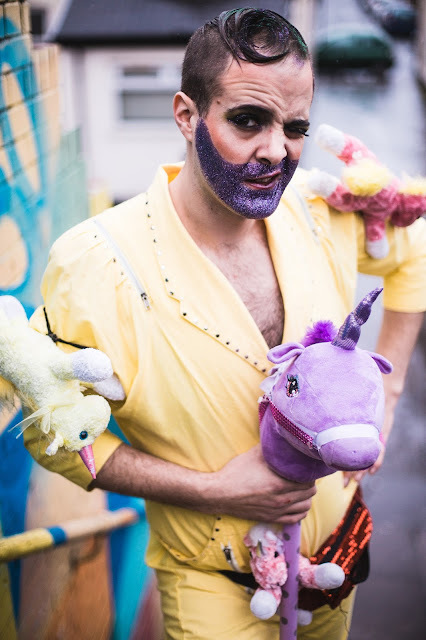 Ernie Sparkles is a high energy, sparkling glitter queer performer with many ridiculous strings to his absurd bow. 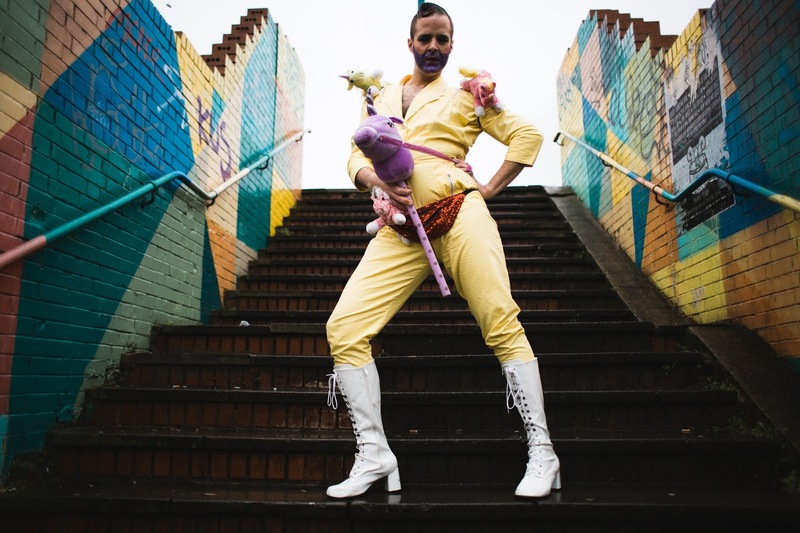 With an eccentric mix of drag, genderfuck, clown and comedy, Ernie creates a bizzarely fabulous and unforgettable experience. He has performed in a range of genres including. musical theatre, acapella, circus, cabaret, boylesque, and character comedy. Ernie not only performs at various cabarets and festivals, he also produces and creates cabarets and scratch events. Most notably X-Rated Attenborough and Ernie Sparkles' Office Christmas Party at Wales Millennium Centre's Ffresh, Scratch This (scratch cabarets) at Up Side Down Circus and Cardiff Speaker Hire, and From Scratch (2 day intensive scratch performance project) at Wales Millennium Centre. Ernie also trains with hula hoops and runs Sparkles Hoop Troupe with his business partner Ellie. The Sparklettes have grown from strength to strength since their debut in 2015 and can be seen at various festivals and cabarets across the country. Bluestocking Lounge, YardArts Burlesque, Unplugged 9 (Cardiff Cabaret Club), 'Gladiators PWB charity cabaret' at Fluidity Freerunning Academy, 'Cabarration' at Aberystwyth Arts Centre, Scratch This cabaret, Glitter Punk at Four Elms, Welsh Hoop Convention, and private gigs. NoFit State's 'Journeys', Big Splash Festival, 'Cocktails and crates' aerial hangabout at Cardiff Speaker Hire, Scratch This Cabaret. - Graduating in Theatre Design for Performance at Wimbledon School of Art. 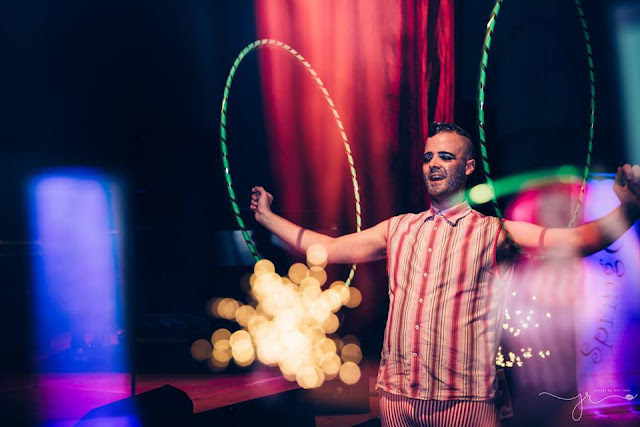 - Establishing and co-running Sparkles Hoop Troupe (a professional/community hula hoop dance troupe whose performances include GreenMan Festival, Machynlleth Comedy Festival, Kaya Festival of World Arts, Tenovus Cancer Care's Dahlicious ball and goodnight walks, Aberration LGBT 'cabarration'). 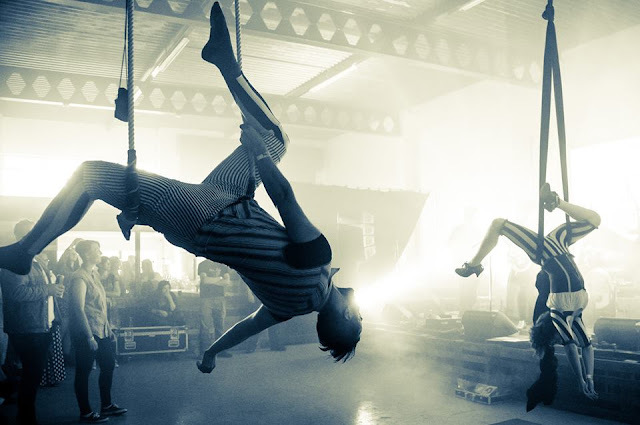 - Producing and presenting 'Scratch This' - scratch cabaret nights. - Solo show - 'The Fabulous Unicorn Inquiry' 2016.